This Land Rover genuine water pump kit comes with everything you need to replace your failing water pump on your LR4 or Range Rover. Kit includes the necessary oil cooler pipe and O-ring. 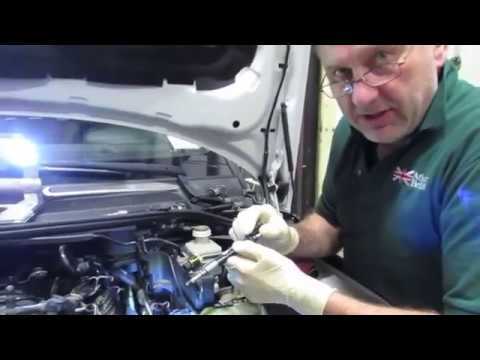 Watch Gareth, our Land Rover Technician, explain the process involved in changing the Water Pump on a Range Rover Sport 2014. This process and part also applies to late model Land Rover LR4 and Range Rover Full Size L495 vehicles. Installation uses part/kit # LR097165GK, which includes the Water Pump, Genuine Oil Cooler Pipe and Land Rover Genuine Oil Cooler Outlet Pipe O Ring. After installation, Gareth goes over bleeding the coolant system. 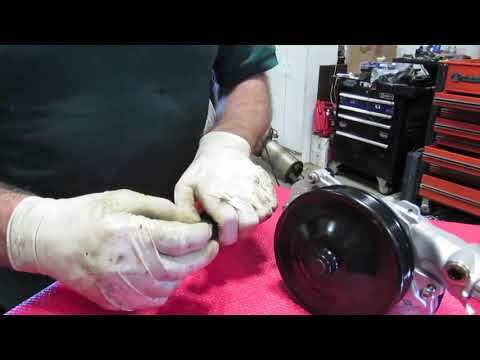 Atlantic British Ltd. Repair & Maintenance Academy How-To Video: Watch Gareth, our Land Rover Technician, strip down the front engine compartment and complete the timing chain and related components on a Range Rover Sport 2011 (non-supercharged).This Service is not recommended for the do it yourselfer, and will give You a new appreciation for your Land Rover tech. The job requires special tools (covered in the video) and in-depth knowledge of the Range Rover. The genuine Timing Chain Kit # TCK5030 provides all the components you need for a complete timing chain and timing component overhaul on an LR4, Range Rover Full Size or Range Rover Sport (see years for exact fitment.) Includes 3 chains, guides, shoes and related parts for a complete replacement and overhaul. The specialty tools needed for this job are available as related items with kit # TCK5030 on our website. Gareth will also address changing out the water pump and thermostat, and camshaft sprockets, which is part of tearing down to access timing chain and /or recommended wear replacements. Questions? Give us a call at 1-800-533-2210.